I have vivid memories and frequent reminders, thanks to old friends, of me passionately declaring that I would never live in the suburbs. I was, and still am at heart, a city boy, I like the hustle and bustle, and I like the diverse businesses and people. I love eating at interesting places and enjoying unique art. I thought moving to the suburbs would be an immediate surrender of all I love in exchange for a house and yard. As I’m learning more and more as I grow up, I couldn’t have been farther off base. My wife and I are at a point in life where we are thinking of the future, we value safety, good school systems, and do enjoy low property taxes. All signs pointed north when it was time for us to find a place together after we got married. I felt my inner boy dying as I was torn away from the city-life. Surprisingly, just as I thought my art appreciative, gourmet dining, wine drinking, old self was taking its last breathe, we moved to the Arts and Design District in Carmel. I thought maybe this was one of those mirages you see when you are in the middle of a desert and are water deprived and exhausted. Surely in the heart of what all call Suburbia this couldn’t be a bustling city, full of culture, art, and great food. We moved into a loft above a Butcher Shop in the heart of the Arts and Design District. Now we only buy our meat from this butcher, which is quite a joyous experience in and of itself. We have come to love Carmel, and the Arts and Design District. We are actually having our cake and eating it too! Safety, good schools, low property taxes, homes with character, personable neighbors, established neighborhoods, and an overall great place to start a family have fused with art, the Monon Trail, great food, a world class performing arts center at the Palladium, local shops, art gallery walks, festivals (Carmel Fest, Rock The District, Art Mobilia, Art of Wine, Jazz on the Monon) and as of late a buoyant night life. We already have come to know and love Joe’s Butcher Shop, BUBs, BUBs Café, Mud Bugs, La Mie Emile, Donatello’s, Muldoon’s, Woody’s, and Bazbeaux’s Pizza. These are all worth your drive north, guaranteed good times. Time has passed and change has come, not only to our personal living situation, we’ve since moved into a house in the Arts and Design District, but also within the District, most notably with the additions of Detour and Shiraz. Detour: An American Grill is this fantastic bar. It has this ornate interior enriched by a claw machine (you know, the one where you go mad trying to get that little teddy bear out of the glass prison it is condemned to), a mass amount of flat televisions, great food, huge beer selection, a trendy bar that has 35,000 pennies on it (you’ve got to see this thing and try to find pennies flipped tails side up), a great staff (courtesy of Moe’s and Sensu’s great management), and even a 32oz. yellow plastic cup you can take home with you and write your name on that they serve their beers specials in. I invited several friends to watch the NBA playoffs and Finals there and we had a great time. We were in Carmel, watching a game, talking about things guys talk about, having a grand time, and yes, it was past 9pm. We now have a place to watch games and meet pals. Carmel has now become a destination for after 9pm while keeping the class it normally boasts. Next up, Shiraz, my new favorite place. I feel a little guilty this morning as I talk the Monday morning corporate talk. Asking people about their weekends and such knowing my motive for this inquiry is truly only to reveal what has me walking with my chest out and head held a little higher this morning, my experience at Shiraz and what that means for my town. If you were to blindfold someone, take them to Shiraz, and ask them where they were after unveiling their eyes, like what city, they would say something along the lines of New York, Chicago, Portland, Seattle, or another large metropolitan area. To their surprise they are in the heart of the Midwest amongst deep fried Twinkies, corn fields, pork tenderloins, a state fair, and THE mecca of basketball heritage, right in Carmel. White leather chairs surround stainless steel tables, nestled in front of a bar illuminated in purple light. There are two wine machines (Enomatic) at each end of the room, one for white and one for red. You are given what looks like a hotel key card that you fill up with money. 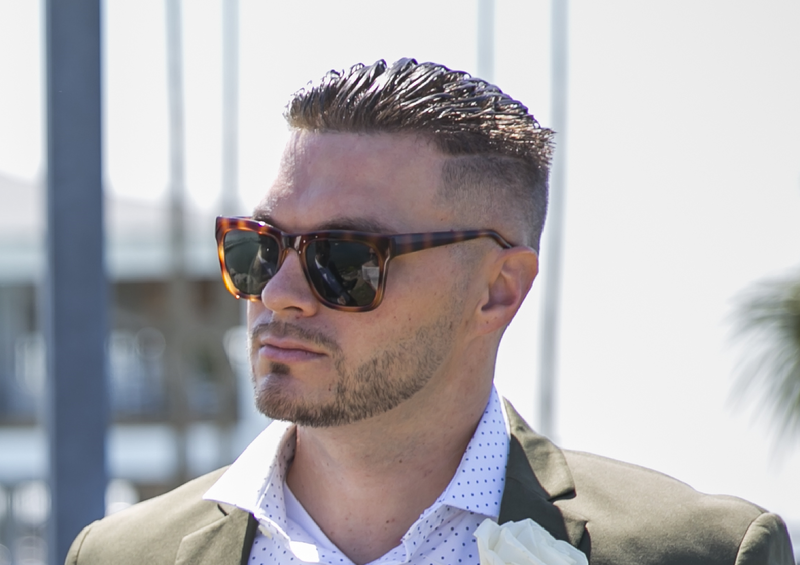 You walk up to the machines and read the descriptions of the wines, what they pair well with, and how much it cost for a taste, half glass, or full glass. Once you make your decision you insert your card and press the appropriate button and out pours the nectar of the gods. You go around tasting different wines at your leisure while being treated like royalty by their fine staff. Genuine conversation about the area, food, what you do for a living and so on from the owner (Patti Erlewine) and manager (Mike Farrell) make this not only a neat place to sit and chat, but also one you want to revisit because of how you are made to feel, welcome. The food is top notch and something I have already had several dreams about. They serve appetizers and small, yet fulfilling, foods that leave you in awe of how food can taste so good. After chatting it up with most of the staff, the chef, Ricky, who must have hands gifted by a greater power, tells us about their upstairs lounge area with an immediate invite to go up and see for ourselves. It’s an area they plan on doing private parties and meetings in. It’s an intimate area filled with couches and tables surrounded by their signature white leather chairs and purple illumination. To top off everything for me personally, is that not only do they serve amazing food and wine, but they have a selection opulent desserts and serve nice beers (no Bud Light here). After finishing off an unforgettable experience at yet another local Carmel business we almost skip home in joy, literally, we are within walking distance of all this, which is another thing that makes the District so special, family residents surrounding it. My smile ran from one cheek to another as I reflected on the amazing night we had at Shiraz for two reasons. 1. Shiraz is simply an amazing place to drink and enjoy light dining. 2. Shiraz is another staple of the Arts and Design District that I can now proudly brag about that separates Carmel a bit more from the other areas. The Arts and Design District is not something easily duplicated. We have reasons for people to head north and challenge their assumptions of Suburbia. 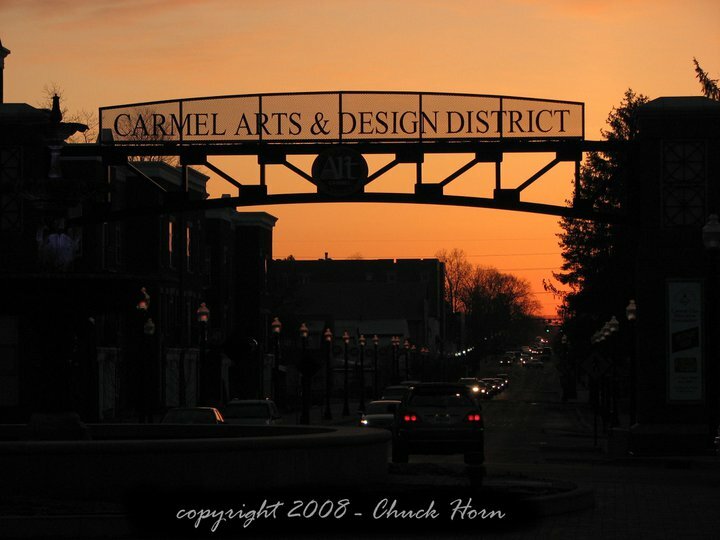 So Stand up Carmel, the Arts and Design District is growing and is something to be proud of. And with businesses like Detour and Shiraz hopefully we’ll hear the buzz of life well into the night making this town nuzzled in the Midwest a destination to be desired by all.